Both Falmouth Police Officers are expected to make full recoveries, while a 21-year-old suspect is in custody. 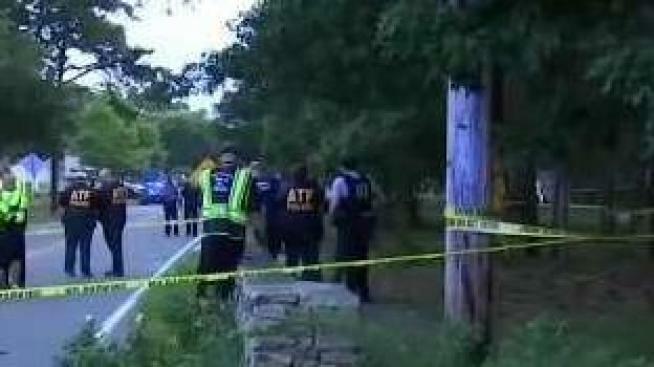 Both police officers shot on Friday night in Falmouth, Massachusetts are expected to fully recover from their injuries. Patrol officers Ryan Moore and Donald DeMiranda were shot while responding to the scene of someone breaking glass near 2 Ashley Drive in East Falmouth around 5:30 p.m. on Friday. DeMiranda was shot once in the chest, the bullet stopped by his vest. He was also struck in the shoulder; DeMiranda remains hospitalized but is in good condition. Moore was struck in the neck area, causing a grazing wound. After receiving treatment, he was released from Falmouth Hospital. A suspect, 21-year-old Malik Antonio Koval, is in custody. Koval was shot "a number of times" during the incident, according to Cape and Islands District Attorney Michael O'Keefe. Koval was initially taken to Beth Israel Deaconess Hospital in Plymouth before being transported to Brigham and Women's Hospital in Boston. He's in stable condition. 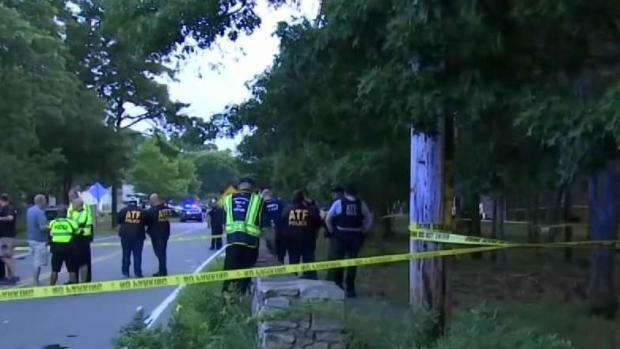 Two officers in Falmouth, Massachusetts were shot on Friday night, with both expected to make full recoveries. A 21-year-old suspect, Malik Koval, is in custody and being treated for gunshot wounds. Falmouth Police Cheif Edward Dunne said that Koval retrieved a gun from inside the home after Moore and DeMiranda responded to the scene and he then began firing at the officers. Two other individuals, 38-year-old Kimberly Koval and 18-year-old Marcus Maseda, tried to interfere with the officers' efforts to pursue the suspect. They were subsequently arrested and charged with obstruction of justice, assault and battery on a police officer and interfering with the duties of a police officer. "Nothing in police work is routine," Dunne said at a press conference late Friday night. "You think that would be something just somebody breaking bottles on the street, but no call is routine." Dunne added that while each officer should be fine physically, he's worried about them psychologically. "This is happening way too much," said Dunne. "It’s not OK to shoot a police officer." Meanwhile, several residents dropped by the police department to bring food and beverages to everyone on duty. "Yeah we take all the stuff they do for granted," said Colin Murphy, who brought food from Captain Kidd, where he’s a waiter. "I think just anything we can do to help to support them would be great."